Since the announcement on Tuesday morning, the only thing more pervasive around San Francisco this GDC week than the smell of weed has been chatter about what Google’s new streaming service will mean for the future of gaming. The company’s vision for Stadia is hugely ambitious and impressive, but questions abound. Will it kill the traditional console? Is it the beginning of the end for pricey gaming PCs? Exactly how many people have searched for ‘what does stadia mean’ in the past 48 hours? 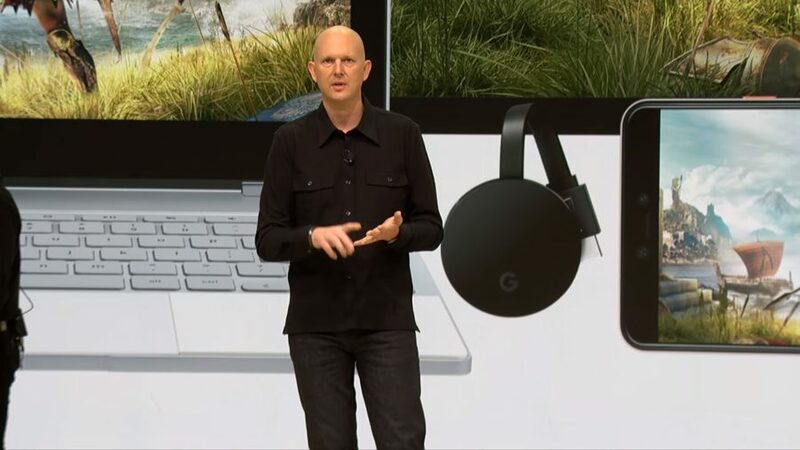 To at least get part of the answer to the first two of these questions, and definitely not the third, we sat down with Google VP Phil Harrison to discuss how Stadia has evolved, why now is the time that a streaming service like this can succeed, and how the shift in technology will aid and change game development. In the wake of such a grand vision being unveiled, opinions swirl and conclusions get leapt to – I know, I’ve been subject to the worst of them already. Other streaming platforms have tried to deliver on a similar promise to what Stadia is offering – admittedly without some of the bells and whistles – and have failed. There are obvious concerns about internet connectivity, and I’ve heard the word ‘latency’ so many times in the past two days that it’s lost all meaning. And yet my instinct is that Stadia will succeed. I say that partly for the most obvious reason – because it’s Google – and partly because it really does work pretty well already, albeit with some caveats. It feels like, initially at least, it will appeal more to the casual crowd than your case-modding PC gamer who wears RGB strips as belts. But perhaps eventually those who persist with physical gaming machines will be looked upon with the same horror seen in those YouTube ‘react’ videos when kids are shown literally anything made before the year 2000. PCGN: What are you most proud of, up until now, with regard to the Stadia project? Phil Harrison: It’s never been a project, it’s been a business from day one, for me. There was a very key moment in our evolution: we mapped out, more than a year ago, how we were going to get to market, and we had two very key milestones in our future. The first was Project Stream, which was in the back end of 2018 – which sadly we weren’t able to bring to the UK, but I think sufficient people around the world were able to understand what we were doing, and maybe guess where that might go in the future. And the second key milestone was [the GDC announcement]. To answer the question, I think it’s too early for me to say, although I’m thrilled with the reaction. The thing that I’m most proud of in our business to date is that we landed perfectly with Assassin’s Creed Odyssey on the day that they launched it on all other platforms, and we did the developer proud. We were able to satisfy a very demanding, and rightly so, creative vision from the developer and the studio. 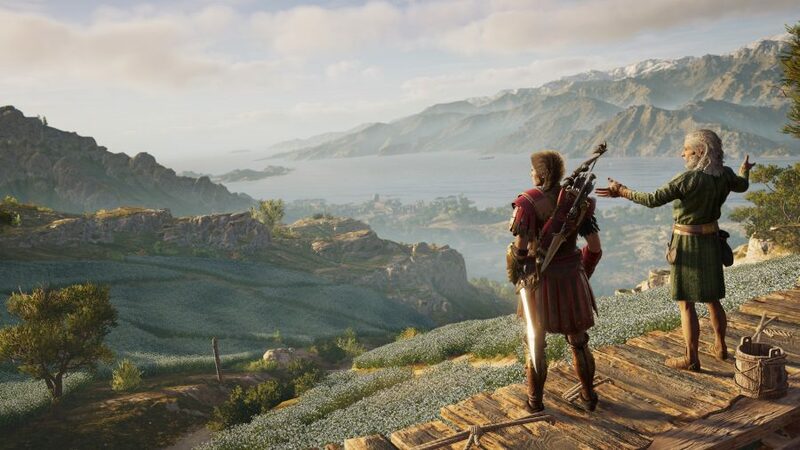 I wasn’t in the meeting but I heard that the art director for Assassin’s Creed Odyssey did a side-by-side comparison between our game streaming and it running on a locally rendered PC, and he said he couldn’t tell the difference. That was a really strong signal that we are delivering on our promise. Read more: Could Stadia make game demos popular again? Why is now the right time for this? People have tried these kinds of streaming services in the past without success – why is 2019 the time that this will succeed? Timing is everything with all of these innovations, and being too early ahead of the game in terms of network infrastructure has possibly hurt some of our predecessors. Google has an integrated stack of technologies fundamentally innovating in the hardware inside the data centre. It’s not really visible to the outside world, but Google has been building its own hardware for more than 15 years or so, and this gives us an advantage in performance inside the data centre. The way we then connect the data centres together with our own proprietary backend, which no one else has access to, gives us a performance advantage, and then being able to build the unique game-centric architecture that sits in the data centre gives us the capability to support the best games on the market. Nobody else has YouTube, and that gives us a huge advantage, but we’re not declaring victory – we’re just starting. If people can get a better gaming experience without having to spend money on hardware then there’s a very good argument that they won’t. But gamers – particularly PC gamers – are very passionate about their hardware. Where do you see this going with regard to traditional consoles and PC hardware? I’m a huge music fan, and have – in boxes – thousands of CDs, but I can’t remember the last time I bought a CD. I was one of the people who would have sat in a pub arguing vigorously that MP3s were never going to darken my ears, but I now completely accept that music is streamed – there’s no alternative to that for me. It’s similar with movies: I have a collection of Blu-rays that I have built up over the years, but I can’t remember the last time I bought a Blu-ray disc, because streaming allows me to access the content I want, when I want, on the screens that I want. Every gamer is going to have a different speed that they make that transition, and I completely respect that, and nor do we expect that the world will wake up the day we launch and go, ‘Right, that’s it, we’re done with physical products and physical devices’. The second thing is that game developers will start seeing the ability to build a game for the data centre as being very different from building a game for a device. The last 40 years, or thereabouts, in the games industry have all been device-centric and package-centric. The developer builds for the device, and the content reached that device in a package, whether it’s a cassette, a floppy disc, a cartridge, a CD, or, more increasingly, a download. But that mental model of game development hasn’t really changed for 40 years. Now, with Stadia – and not just us but others have thought about moving to the network – the model of game development will move to being network-centric. I think this in an inflection point for the industry. Are there things that developers will be able to do if they make a Stadia-exclusive game that they haven’t been able to do previously? Absolutely. When you have an almost uncapped amount of computation sitting in a data centre that you can use to support your game design and ambition – whether it’s in vastly superior multiplayer, whether it’s in distributed physics, or massive simulation – there are things we can do inside a data centre that you could never do inside a discreet, standalone device. We think that developers will get excited about some really rather mundane things that will actually have a huge impact on performance and scalability. If you want it you’ve got, effectively, petabytes of storage for your game locally – very, very fast storage – so that means you could create a simulation or a database that is vastly more complex. If a developer can look at the resources that we can bring to bear on a game they can go orders of magnitude greater in terms of every player inside a world having a persistent memory that lasts over the entire span of the game. You could have tens of thousands of NPCs, all of whom have a complex relationship with each other and with the player – and it’s persistent. That requires a huge amount of local database that you can’t do in a discrete, standalone machine. If my internet connection is good enough, will a game played on Stadia look better than it would on a console or a mid-range PC? For sure. There are going to be graphical features, scene complexity, polygonal density, shaders, lighting… a lot of visual effects that will make Stadia games look even better. The great thing about the games industry is that there’s always innovation, and we fully expect further iteration in our platform – we’re just talking about Gen 1 at the moment, but there will be iterations on that technology over time. To what extent are those improvements dependent on the developer to optimise their game for the Stadia versus the platform doing the heavy lifting? It’s a little bit of both. You would expect our developers to push us, and then we will push them by showing a roadmap of what we expect in terms of the technical capability of our platform. Game development is like gas: it expands to fill available space, and we want the volume [of that space] to continue to grow. Read more: Still want to upgrade your PC? Here’s are the best graphics cards for available this month? We think that this can continue the fast growth of YouTube as a livestreaming platform. It’s growing very fast, and we think that Stadia will help accelerate that further. Are you looking to leverage Google Fiber to help give people a stable enough connection to get the most out of Stadia? We fully expect Google Fiber to deliver a phenomenal experience for all players, [but] the investments that we’re making in the data centre is what reaches all players. Google Fiber, although delivering phenomenal performance, doesn’t reach all geographies. How big of an advantage will Stadia’s ‘cheat-proofing’ technology be for developers, particularly with regard to the bigger competitive games? I think it’s also a big win for gamers because so many games have been ruined by an uneven playing field, where you may be playing against somebody who has an aimbot or some other assistance software running on their client. But inside Stadia the client and the server are all inside the Google backbone, and there’s no way you can interfere with that software or add an additional piece of software to what’s running inside our data centre. All that reaches you in your home is video. So it adds a data security to the experience that, yes, helps developers, but actually I think it helps players, because it means that everyone has the same quality of experience. Gamers are increasingly sensitive about which platform or launcher a particular game comes to. What are you thoughts on that with regards to Stadia? We don’t require that games be exclusive to our platform, so some games will appear on multiple platforms, as is expected. 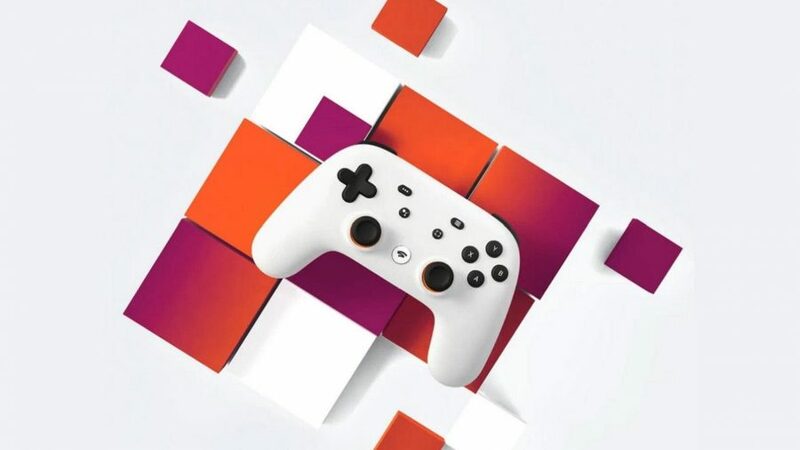 The games that we build ourselves with Stadia Games and Entertainment will only be available on our platform. How will curation work on Stadia? We will apply what I would loosely describe as ‘standard industry practice’ for curation of content on our platform. PEGI and ESRB will be ratings systems that will be used. We won’t allow AO (Adult Only) content on our platform, we will have content guidelines that we will apply to games, and we will work with developers and publishers to bring appropriate games to the platform. In addition to that, we have parental controls that will match the right games to the right ages of players. Is Stadia a subscription service, or are we still going to be buying individual games? We will talk about that in the summer. There were icon sets on-screen before the keynote started that fairly obviously pertained to games such as Metal Gear Solid, Red Dead, and Skyrim. Was there any meaning behind that? Don’t read too much into it! It was recognising that [viewers] were going to be potentially sat there for an hour, and really was just us trying to demonstrate our love affair for the games industry and the iconic genres that make the games industry what it is.